← LAMBTON DOORS IS ON CABOODLE! 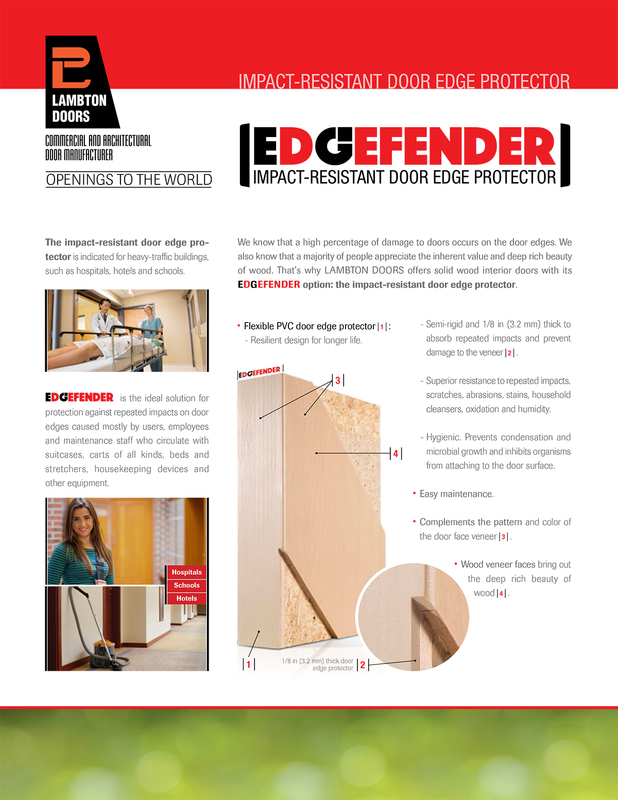 The impact-resistant door edge protector EDGEFENDER is indicated for heavy-traffic buildings, such as hospitals, hotels and schools. We know that a high percentage of damage to doors occurs on the door edges. We also know that a majority of people appreciate the inherent value and deep rich beauty of wood. That’s why LAMBTON DOORS offers solid wood interior doors with its EDGEFENDER option: the impact-resistant door edge protector.